SEQUEL TO COBRA SLAVE. New York Times #1 best-selling author Timothy Zahn continues his Cobra SF adventure series with book #2 of a new Cobra saga, Cobra Rebellion. Cobra warriors: technologically enhanced and implanted with an arsenal of covert weaponry fight against alien foes and evil humans. The Broom clan of Cobra warriors finds itself pressed between two star empires headed for war. On the planet Aventine, the Broom's homeworld, pater familia Paul Broom has been taken prisoner by Commodore Santeros, an implacable operative of the Dominion of Man. Paul is due to have his memories sifted through by the dreaded and often destructive Dominion MindsEye in order to root out the location of legendary Qasamaa planet where huge advances in military hardware, particularly a svelte powered armor, might give the Dominion of Man an edge in a coming war with the alien Troft. Santeros hopes to strike a deal with Qasama and, if a deal cannot be struck, then Santores and the Dominion are prepared to take what they want. Timothy Zahn is a Hugo award winner, and author of the #1 New York Times best seller Heir to the Empire. Born in Chicago, Zahn earned a B.S. in physics from Michigan State University and an M.S. in physics from the University of Illinois. He sold his first story to Analog magazine in 1978, and immediately attracted attention as a new writer of science fiction based on real, cutting-edge science. Other Zahn creations include the Conqueror and Dragonback series. 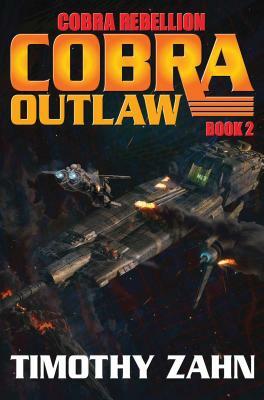 His books for Baen include his popular Cobra SF adventure series. Zahn is also the coauthor, with David Weber, of new Honor Harrington universe series Manticore Ascendant, with first entry A Call to Duty, out in October 2014. The Timothy Zahn author page on Facebook has received over 50,000 likes and can be visited at http://www.facebook.com/TimothyZahn.